Barcelona has emerged as one of Europe’s must see yachting destinations and it’s easy to see why. Combining stunning architecture, world-class museums and art galleries, sophisticated shopping, a vivacious nightlife scene and inventive gastromony including more than 20 Michelin stared eateries. 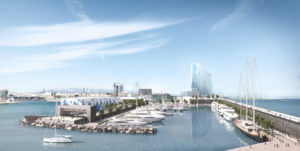 Barcelona is truly on the rise to become a world class yachting hub. 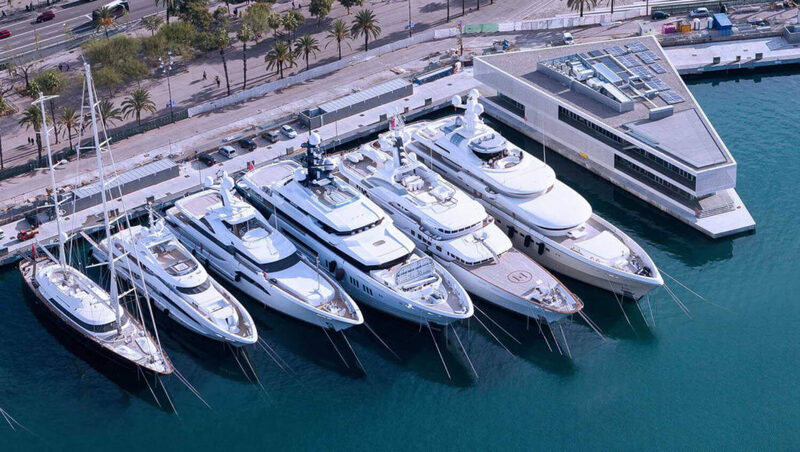 Barcelona’s is home to two award-winning super yacht marinas, OneOcean Port Vell (pictured top) and Marina Vela. Both marinas reside in the centre of the action, giving guests a unique opportunity to experience this vibrant and cosmopolitan city from the luxury of a charterdart yacht. 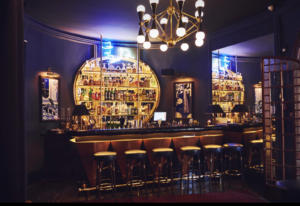 Sit back and relax with a glass of cava in hand, and soak up the atmosphere of one of Europe’s most vibrant and cosmopolitan cities. The adventure doesn’t need to stop in the city; the Catalan coastline stretches north to the windswept, pine-fringed, dramatic coves of the Costa Brava. Cruise on crystal clear waters (perfect for snorkeling and scuba diving) while admiring the rugged cliffs and perfect bays of this breathtaking coastline. You’ll love exploring quaint fishing villages, ancient smugglers trails, and enjoy the freshest local seafood and delicious local wines the region has to offer. A short cruise south of the Catalan capital city and you’ll discover the charming bay in el Garaff, a former fishing village that that tumbles down to the sea from the natural majesty of protected national park. This picture perfect bay keeps the spirit of old fashioned coastal villages alive with its green roofed beach cottages lined up right on the sand. Soak up the sun on-board, cool off with a dip in the warm Mediterranean waters, kayak and snorkel the day away. 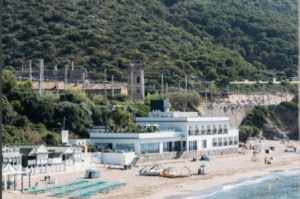 A perfect spot to lunch, el Garraf has three great restaurants to enjoy panoramic views including the new Soho House outpost, The Little Beach House, adding a touch of glamour to this hidden gem of the Barcelona coast. Let us help organize your Barcelona experience.